We&apos;ve rounded up some great back to school toys from Alex. One of my favorite games, as a kid, was playing school. I made work books for all my stuffed animals and made sure they did their homework. Let&apos;? ?s Pretend School, by Alex Toys, makes playing school even more fun by giving kids all the tools they need in a handy travel case. Open up the case and find pockets complete with pencils, workbook, report cards, attendance card, stickers, wipe away-boards, dry erase marker, eraser, notebooks, bell to ring when school starts and even a pointer. When class is over, just fold up the case and you&apos;? ?re all cleaned up. The handle makes it perfect for taking on trips or to a friend&apos;? ?s house. 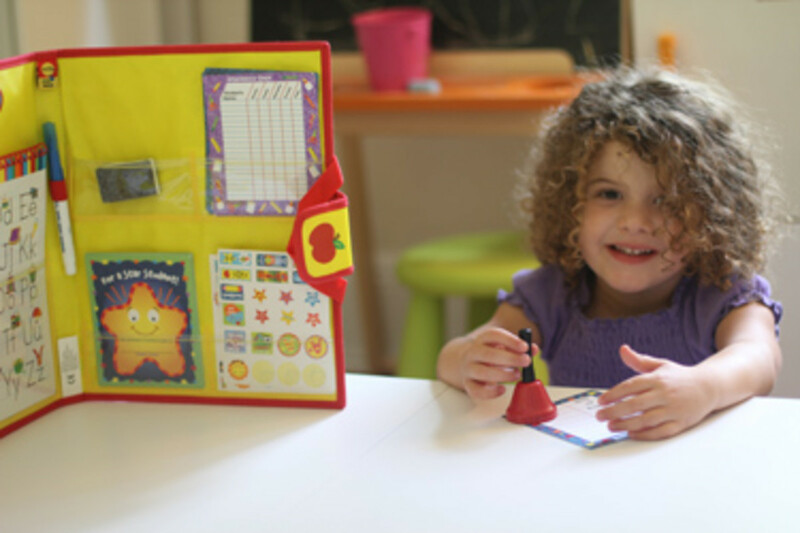 Wipe-away boards include lessons on writing letters, numbers, world map, food pyramid, colors and shapes. Yup, everything you need! And, because "Let&apos;s Pretend School" is designed by Alex Toys, the toy is brightly colored and so, very, cute. My four-year-old daughter and I played with "Let&apos;s Pretend School" the moment we got it. She wanted to be the teacher and I was the student. She didn&apos;? ?t know anything about what a real school was like so it was so funny to watch her. When it was my turn to be teacher, she was writing letters for the first time, without even realizing she was learning something new. Now, that&apos;? ?s an educational toy! 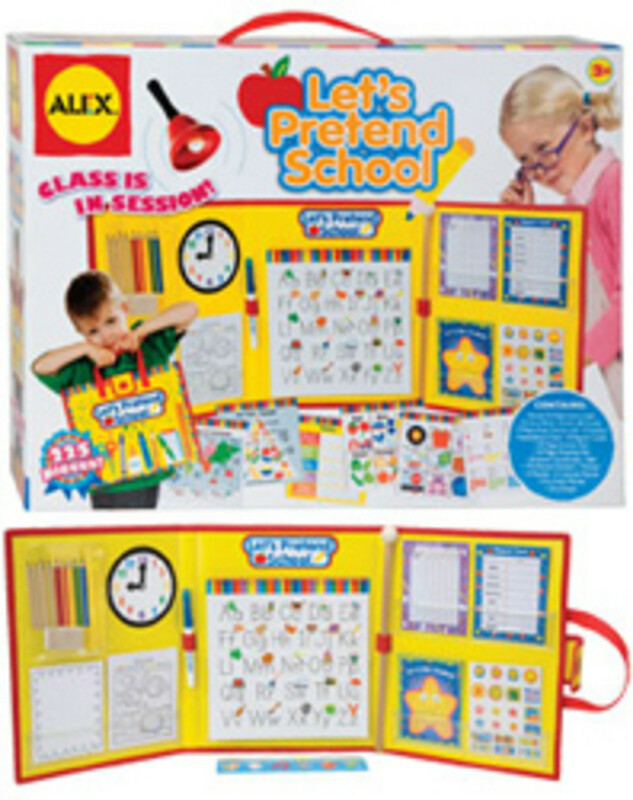 Find Let&apos;s Pretend School at Alex Toys or on Amazon for $27.99. Momtrends was not paid for this post, but we did get a sample for review. And we love it.